Often times when adult parties, conferences or other special events are held, the kiddos are left bored. Boredom can sometimes lead to mischief and/or tantrums. Why not just have a special kids event? Bayou Time can help! Putting the kids safety and security first, we then strive to educate and entertain! Happy kids = Happy parents; and that means your event will be a success! Not all weddings allow children and the ones that do can be both cute and not so cute. Let's face it, big people parties aren't made for little people attention spans, busy bodies or sleepy eyes. 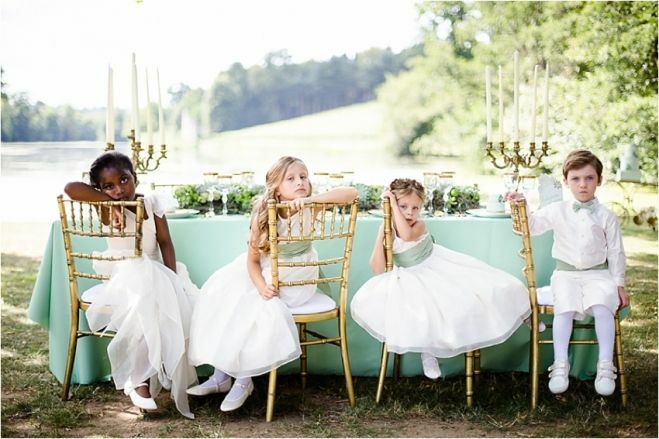 Give the kids a wedding party tailor-made just for them! Bayou Time makes kids parties and receptions for your wedding easy! Give us a call to find out more about our special wedding packages! Bayou Time provides all games, activities, crafts, set up, clean up, special security check in and out and a highly qualified and fun staff! You provide the room and food and we'll do the rest! Parents can't always leave their kids at home! Has your organization or company thought about providing child care during planned or mandatory events? Your employees or attendees will be thrilled to know that they can bring their kids with them and that they'll be thoroughly entertained! Bayou Time has special rates for military events. We love our military and are thankful every day for the freedoms they afford us while protecting our country away from their families. It is our pleasure to be able to serve the ones that serve our country! There's nothing kids like more than the holidays! They're off of school, waiting for presents and get to see family or friends they normally don't get to see. When it comes to dressing up for the numerous holiday parties that ensue during the season, kids often groan. With a kids holiday party complete with themed crafts and games, the kiddos will be happy to wear that sweater great-grandma gave them just to get out the door and go!